We have several friends whose children were highly-rated athletes in high school. One went on to play tennis for his college team while another snagged a softball scholarship to a prestigious East Coast school. We followed their exploits though reports from family members, but we would have welcomed the closer look that will be offered through MySportsShare. MySportsShare is a website that will provide a platform for athletes, teams and leagues to both share their sporting lives and help fund their activities. And every parent of a sports prodigy knows that summer leagues and traveling teams can be an expensive proposition. 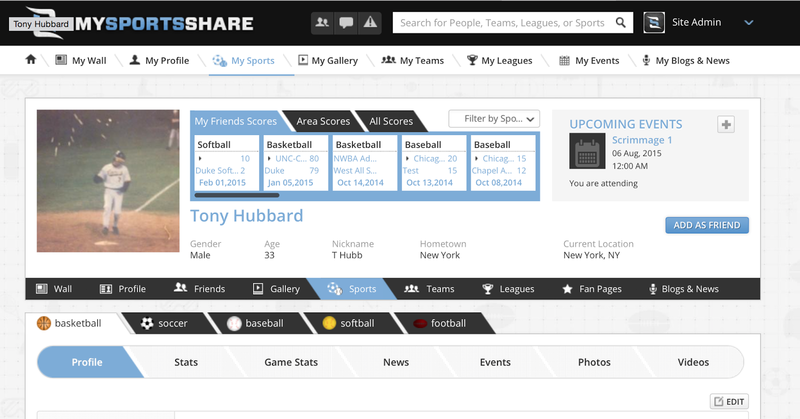 With MySportsShare, athletes and their families will be able to post videos, stats and news updates for themselves, their teams and their leagues. It will provide tools for team and league managers to organize rosters and schedules and build a supporting community. The site can also be used to sell tickets and advertising and solicit donations. Hubbard currently has a fundraising campaign on Indiegogo where he hopes to raise $50,000 over about one month. Perks are available for donors who contribute amounts ranging form $1 to $1,000. For more details, check the video below, the MySportsShare website and the Indiegogo page. Sounds like an awesome idea. Already donated!